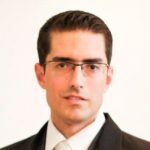 Meet Magento Brasil Agile na prática: Transformando o Magento em plataforma de Buyback! Brightstar’s first major online Buyback project in the world, we turned Magento into a white label solution for repurchase of used electronics, fully integrated with our back-end systems and our partners’ credit systems. Fully planned, executed and controlled using Agile practices, the project was considered a success case within Brightstar and deployed at major retailers in Brazil.